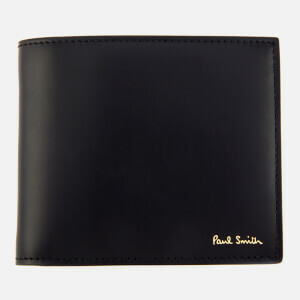 Men’s bifold wallet from Paul Smith Accessories. 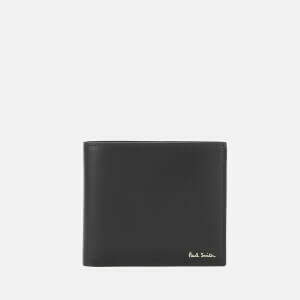 Crafted with smooth leather, the black cardholder comprises a billfold design with a signature striped interior boasting multiple compartments and card slots. Gold foil branding to the front adds the finishing touch.